Private 99617 Henry Sawyer, 4th Battalion, The King's (Liverpool Regiment). Harry, as Henry was known, was born in Twyford, Berkshire, in 1882, the son of Charles Sawyer and his wife Martha née Noyes. The couple had eleven children, eight of whom were still alive at the time of the 1911 census: Charles (born 1874), Sarah (1876), John (1877), Ellen (1880), Henry (1882), William (1887), George (1891), Frederick (1893). One of the three to die was Sarah’s twin, an earlier Ellen, who died in 1877 aged only one. 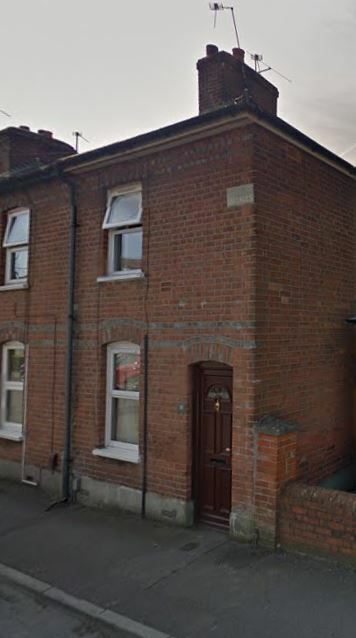 The family moved around: Farnborough (Hants), Twyford (Berks), Hungerford, Kintbury, and finally, Newbury. In 1903 they settled in York Road – at 1 Fairlight Cottages, which became 11 York Road when the street was numbered as a whole in 1910. They remained at this address for the remainder of Charles and Martha’s lives (they died there in 1926 and 1928 resp.). After school Harry found work as a gardener and in 1907 he married Rose Ellen Rawlings; the following year they had their only child, Winifred Ellen. When war broke out in 1914 Harry did not rush to don a uniform; the responsibilities of a wife and young child would make most men hesitate to put their life on the line. However, conscription was introduced in January 1916 and Harry found himself in uniform as a member of the Royal Flying Corps (RFC). He served with the RFC (service number 34600) for eighteen months. It is not known what role he trained for – but it was evidently not one that was in short supply, or, perhaps, his performance was not up to scratch, so when the demand was made for men to transfer into the infantry he was among those chosen. He was posted to The King's (Liverpool Regiment) and was given a new service number (99617); he was then sent to France to join up with the regiment’s 4th Battalion. The battalion had suffered immense casualties (489 killed, wounded and missing) around Meteren during the Battle of the Lys (the operation Georgette phase of the German Spring Offensives). The remnant had been combined with the survivors from the 2nd Battalion, Argyll & Sutherland Highlanders; 18th Battalion Middlesex Regiment and Royal Engineer and Royal Army Medical Corps units into a massively under-strength Division. The result of the German offensive was a massive need for reinforcements; the government even lowered the age at which a man could be sent to the front (from 19 to 18½) – evidently the RFC was raided for infantry manpower, to Harry’s distinct disadvantage. The 4th King’s war diary recorded the arrival of reinforcements – 50 ‘other ranks’ arrived on 27 April, 70 on 29 April and 240 on 30 April. Harry was among this influx of new men. Other men and officers trickled in and the battalion was once again at a fighting strength in terms of numbers. However, numbers was only one aspect of being a fighting unit, the new and existing troops need to be integrated, officers and NCOs needed to be appointed and get to know their men. The 4th King’s was not given much time to do this. On the night of 4/5 May the battalion moved up into support trenches near Dickebusch Lake and on 7 May was withdrawn to a reserve position. At 2am on 8 May the Germans launched an attack that A Company of the 4th King’s helped to rebuff. However, Harry was not involved in this defence; he died on 7 May from injuries to both legs, probably the result of enemy artillery fire. It is not known when he received his wounds; there was enough time for him to be evacuated up the casualty chain as far as the 3rd Australian Casualty Clearing Station at Esquelbecq. This was a comprehensive hospital facility; its job was to treat a man sufficiently for his return to duty or, in most cases, to enable him to be evacuated to a Base Hospital. It was not a place for a long-term stay. 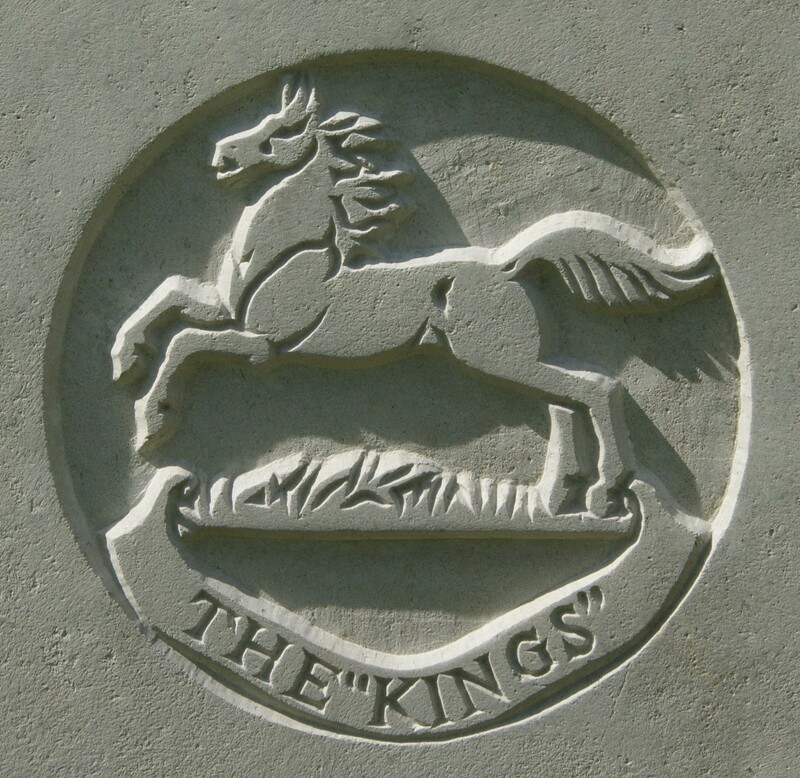 Mrs H Sawyer, The Folly, Greenham, has received the sad news that her husband, Pte Harry Sawyer, of the 4th King’s Liverpool Regiment, died of wounds May 7th, in the 3rd Australian Clearing Station, France, suffering from compound fracture of both legs, and in a dying condition. Pte Sawyer had served 18 months in the RFC, and was transferred to the above Regiment about three months ago. He was only a fortnight in France, this being his first time in action. Pte Sawyer was the third son of Mr and Mrs Sawyer, of 11, York-road. Harry was buried in grave I.C.25 in Esquelbecq Military Cemetery. 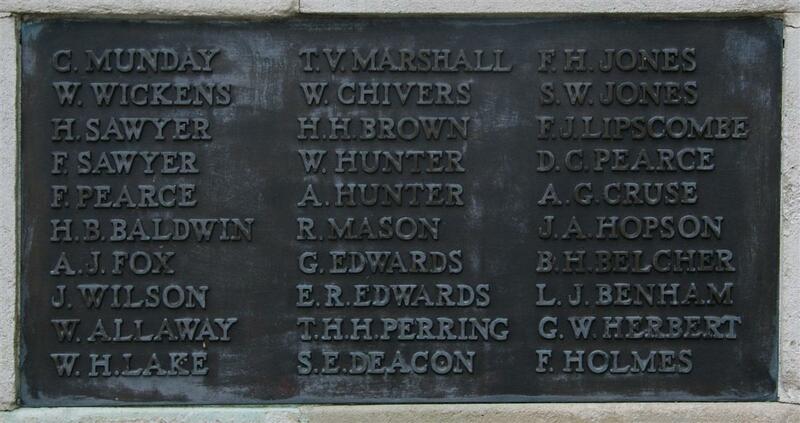 Locally he is remembered on tablet 3 of the Newbury Town War Memorial where his name is above that of his brother, Frederick Sawyer. The names on the memorial were placed by lot, resulting in a random distribution, except in the case of brothers, whose names were kept together. Harry was also remembered on the roll of honour in St John’s Church, which was destroyed when the church was bombed in 1943. Oddly Frederick was not commemorated on their parish memorial – presumably Harry was more of a church goer. Another of Harry and Frederick's brothers, William, was a pre-war regular soldier with the 1st Battalion of the Dorsetshire Regiment. He served with the British Expeditionary Force from 16 August 1914 until he was severely wounded at La Basée on 13 October. 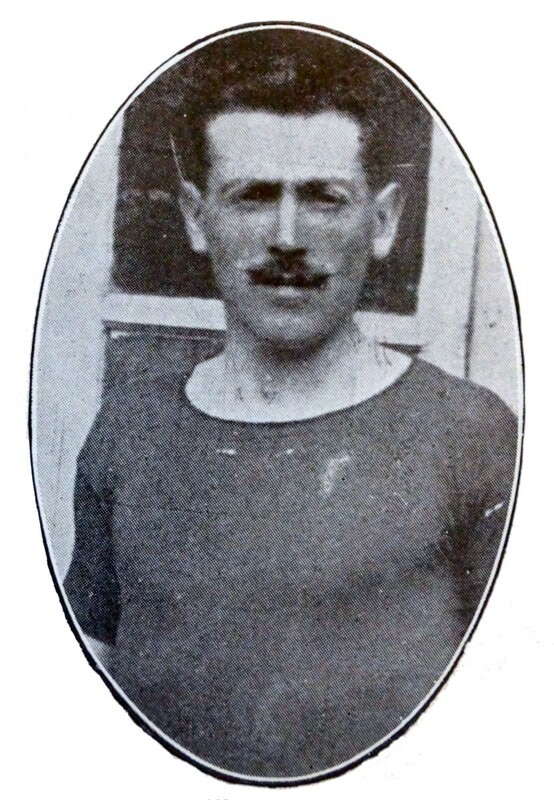 As a result of his wounds he had a leg amputated and was discharged on 12 July 1915, though he continued to receive medical treatment at Albion House, a wartime military hospital in Oxford Street, Newbury. William was a keen footballer and track athlete so the loss of a leg seemd particulary poignant. For more of William’s story see Frederick’s entry on this website.